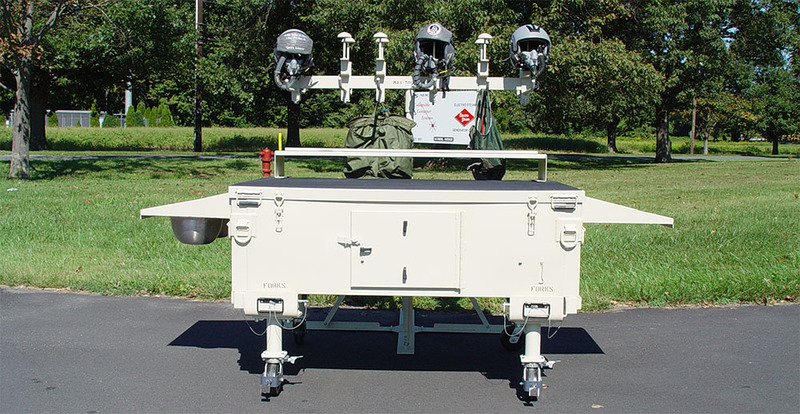 Our Portable Work Station (PWS) are manufactured from lightweight, powder coated, aircraft grade aluminum shipping container The PWS converts into a convenient padded work station to perform periodic maintenance on tools and equipment. The PSW stainless steel 12-inch washing bowls are provided with three shelves, one shelf to hold the stainless-steel bowls and two for additional equipment. The work station comes complete with hard rubber wheels that elevate the workbench to 40 inches high.